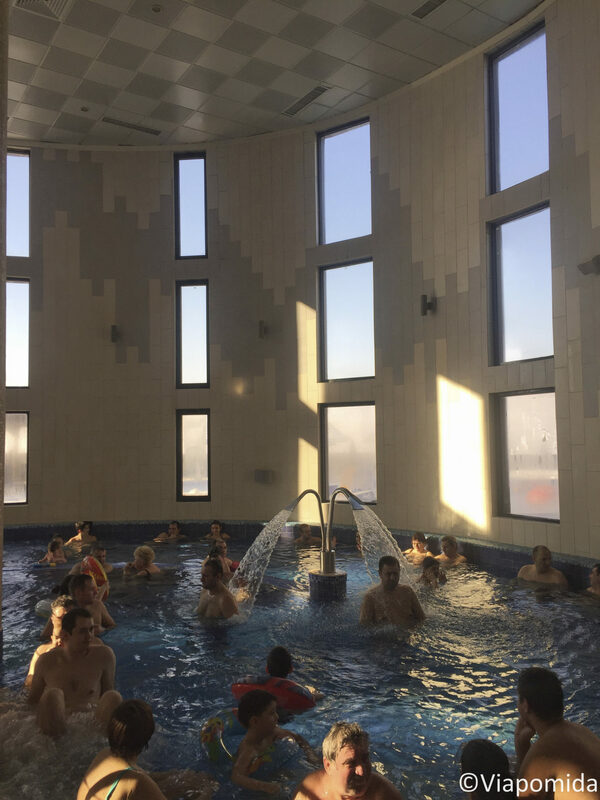 I am not a ski fan so I picked Oradea for a four day city break to visit the city and relax in geothermal water pools. 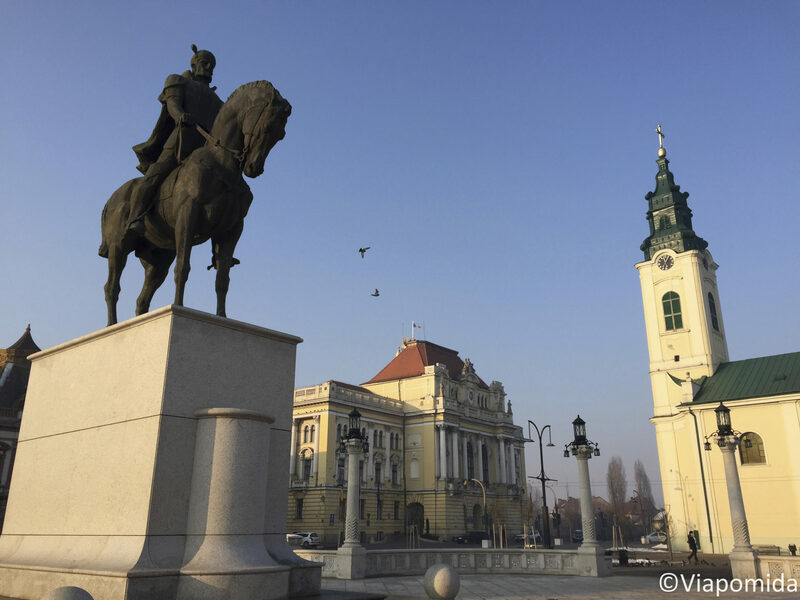 Oradea is crossed by the main road linking Hungarian border, situated 13km away, with Cluj Napoca (E60) and Deva (E79). Bihor county is known in Romania and abroad for its geothermal water resorts available in Oradea and Baile Felix. 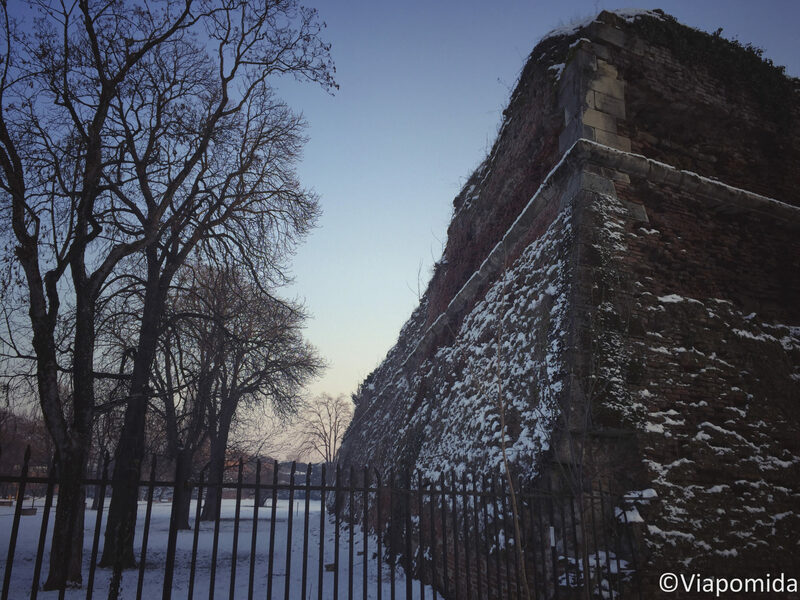 The first mention of the city was in 1113, under the Latin name Varadinum. It was administered at various times by the Kingdom of Hungary (1092-1552), Principality of Transylvania (1557-1598, 1606-1660), the Ottoman Empire (1660-1692), and the Habsburg Monarchy (1552-1557, 1598-1606 and 1692-1918). In 1598, the Oradea fortress was besieged and, on August 27, 1660, it fell to the Ottoman raids, only to be seized in 1692 by the Austrians. Until the construction of flood-banks along the length of the Crisul Repede River, Oradea was under constant threat of flooding. In 1836 a large part of the town was destroyed by fire. The picturesque town of present-day Oradea was rebuilt in the 18th century to the plans of Viennese engineer Franz Anton Hillebrandt following the then-trendy Austrian architectural style called Secession with its richly decorated facades of pale pink, blue, green and white. 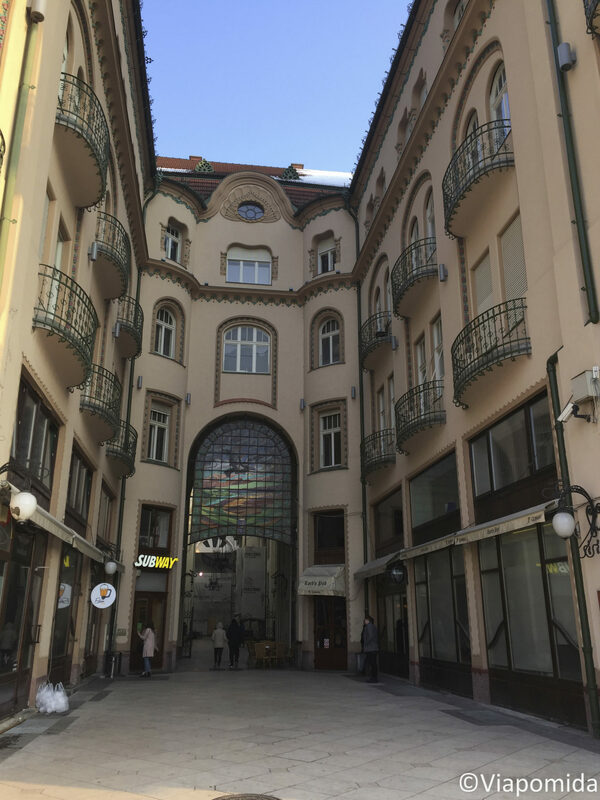 In addition to the many Baroque buildings, Oradea is known for its particularly rich collection of Art Nouveau architecture. 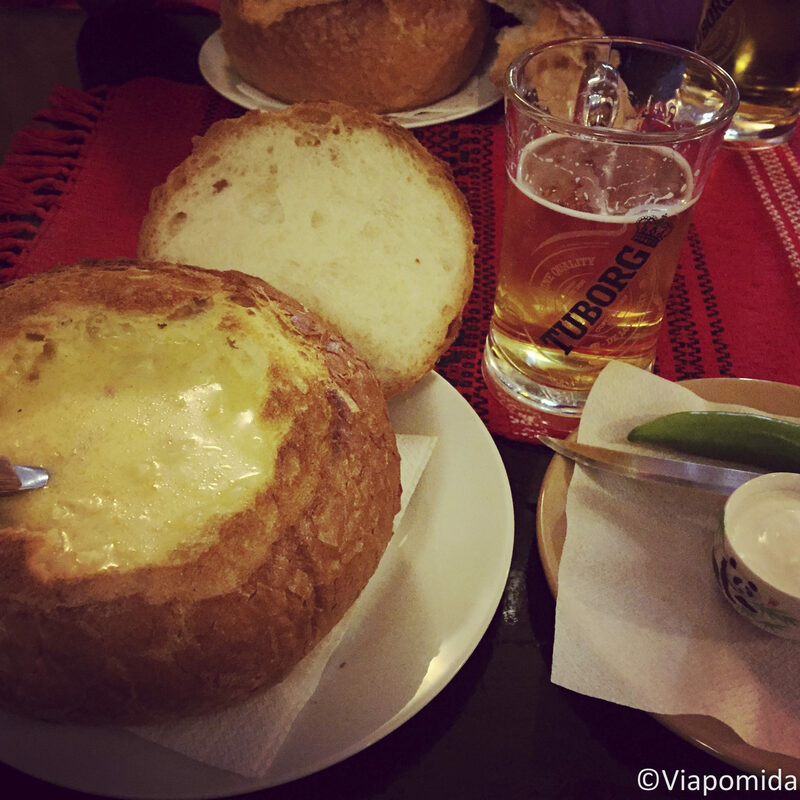 In case you’re planning to visit Oradea for the first time, here’s my top of the best things to do. In the 11th century, King Ladislaus the First (1077 – 1095) built a fortified monastery with Virgin Saint Mary as patron. He laid the foundations of the Roman-Catholic Bishopric of Oradea within the fortress. In June 27, 1192, Pope Celestinus III sanctified King Ladislaus I. This act made the fortress a continuously prestigious pilgrimage place. Between 11th – 12th centuries, the fortress was a fortification (castrum), made from earthen walls and stockade, some stone walls and several wooden watch towers at the gates and the corners of the inner fortress. In the famous poem Carmen miserabile, Master Ruggero di Puglia described the conquest and setting on fire of Oradea Fortress, during the Tartar-Mongolian invasion (1241).The bishops of Oradea were skillful diplomats, good teachers and scholars, and, if necessary, brave army commanders who were slain in combat, in the Crusade of Varna (1444) or Mohacs (1526). 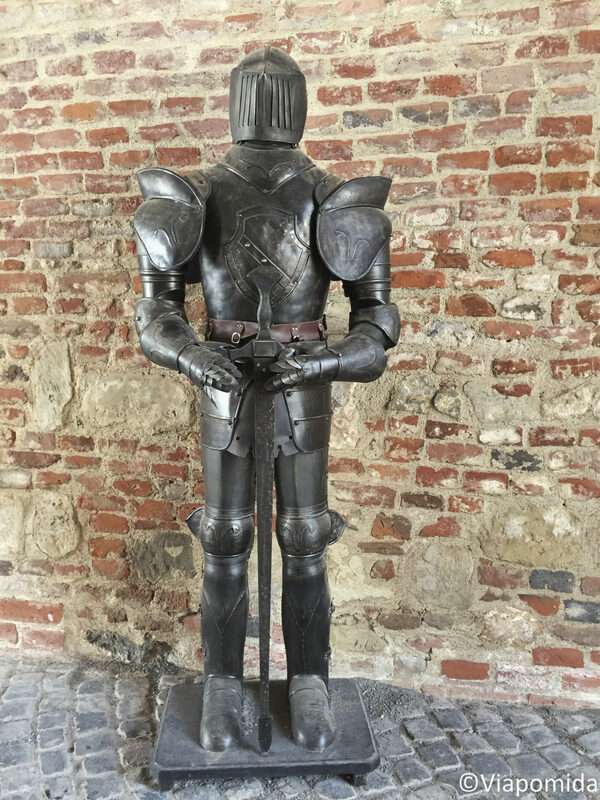 One of them, Eberhard Alben of Lorraine, drafted here in 1408 the Military Order of the Dragon status, at the request of Sigismund of Luxemburg.Oradea Fortress was the final resting place of many crowned heads: Ladislaus I (1095, brought to Oradea after 1134), Andrew II (1235, later moved to the Igriş abbey in Banat), Ladislaus IV the Cuman ( 1290, assassinated in Cheresig near Oradea), queen Beatrix, wife of Charles Robert of Anjou (1319), queen Marie of Anjou, wife of Sigismund of Luxembourg (1395) and king-emperor Sigismund of Luxembourg (1437).In the fifteenth century, Oradea Fortress was one of the most important centers of the Renaissance in Central Eastern Europe. It contained a great library – with books brought straight from the western presses – a “Lyterarum asylum” – venue of the great humanist scholar of the time -, an astronomical observatory and a Catholic school, where the great humanist scholar Nicholas Olahus learned between 1503-1510. The fortress was besieged by the Tartars (1241) Transylvanian rebels (1290, 1514, 1664, 1703-1710), Principality of Transylvania armies (1557, 1603), Turks (1474, 1598, 1658, 1660) and Austrians (1692). On 24 February 1538 in Oradea was signed the peace treaty between Ferdinand Habsburg and Ioan Zápolya, which sanctioned total separation of Transylvania from Hungary. The current appearance of the fortress was shaped between 1775-1777 by the Austrian authorities following military architect Lodovico Marini’s plans, the assembly being rebuilt/repaired with some changes between 1883-1887. Between WWI and WWII, it was the seat of a police school. 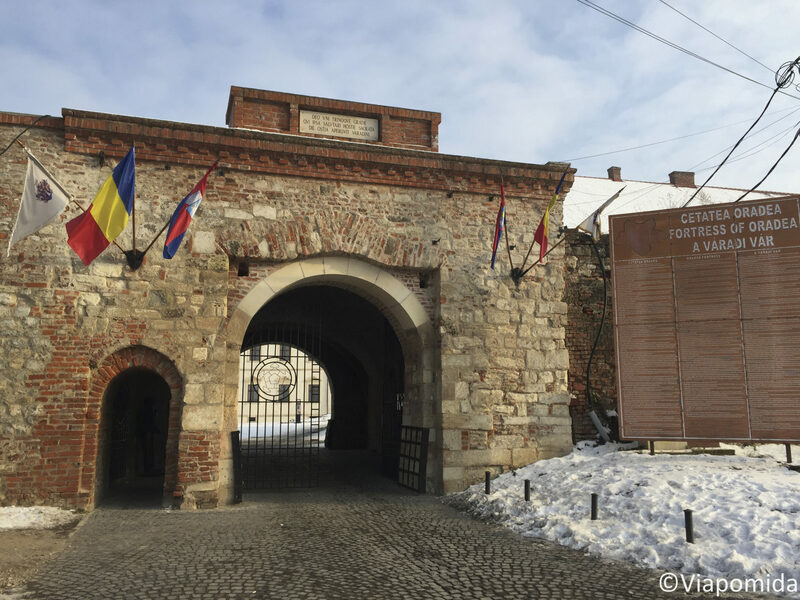 Between 1945-1989, the fortress was still a military objective, used both by the Ministry of Interior and the Ministry of Defense.The buildings inside the fortress were restored and rehabilitated through funds obtained from Oradea Regional Operational Programme (ROP) 2007-2013. Now is the largest and best preserved pentagonal fortress in Central Europe. After the 1836 fire, Oradea’s reconstruction was influenced by the Secession style, which had two periods- the curvilinear and floral one and a latter with basic geometric forms. The most important architects of this current were: Sztarill Ferenc, Komor Marcell, Mende Valér, Jakab Dezsö, Rimanóczy Kálman Jr., Vágó József & Laszló. Main buildings are on Republicii Street which links Union Square (Piata Unirii) and King Ferdinand Square (Piata Regele Ferdinand). The Black Eagle complex (Palatul Vulturul Negru) was built on the old location of the “Black Eagle” Inn between 1907–1908 under the supervision of construction engineer Sztarill Ferenc. 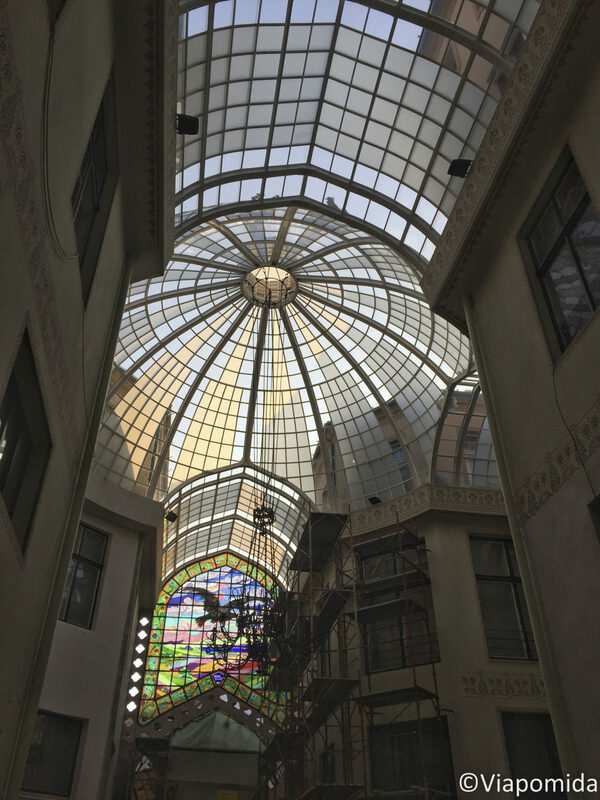 The plans were made by architects Komor Marcell and Jakab Dezső. 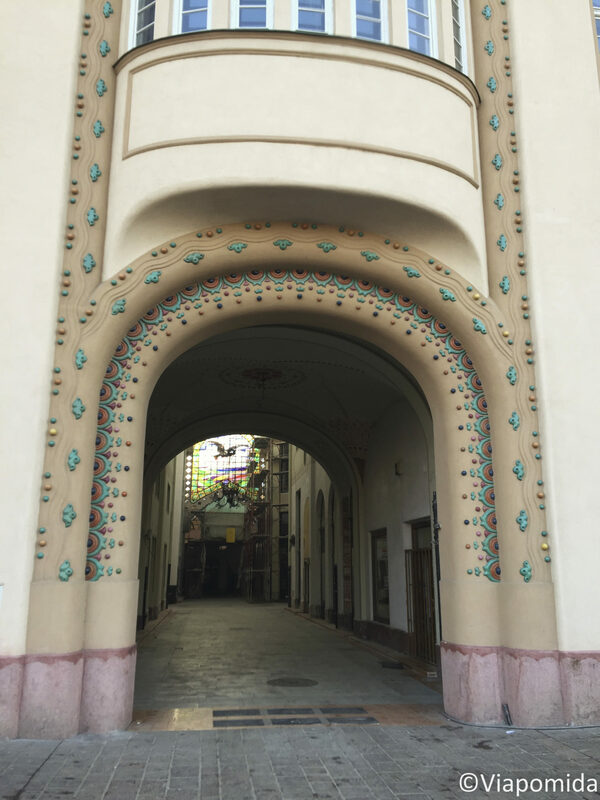 The greatest Secession complex in Oradea consists of two unequal and asymmetrical building bodies, connected to a third, much retracted one, connected by a Y-shaped passage covered by stained glass and colourful tiles. Inside there are shops, a four-star hotel, cafes, a Subway restaurant and a cinema. Sit down and enjoy the light passing through the glass with a coffee better then at home. Oradea is a mix of religions like Romanian Orthodox, Reformed, Roman Catholic, Pentecostal, Baptist, Greek-Catholic and Judaism. 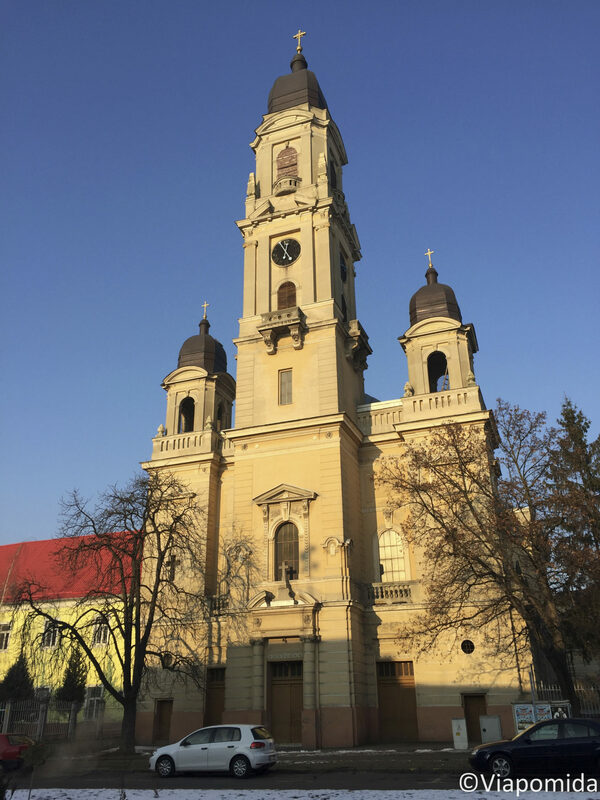 The church ‘The Assumption of Mary’, known by the locals as ‘The Moon Church’ (Biserica Lunii) is located in the South-East corner of Unirii Square by a late-Baroque style with marked Classical elements, but also with a strong indigenous. Its construction started in 1784, but the interior was finished in 1832 due to peasant movements. One of their leader, Horea, is painted on the iconostasis. On top of church entrance is the moon mechanism designed by Georg Rueppert in 1793 that spins the moon in a complete 28 days cycle, indicating the moon phases. 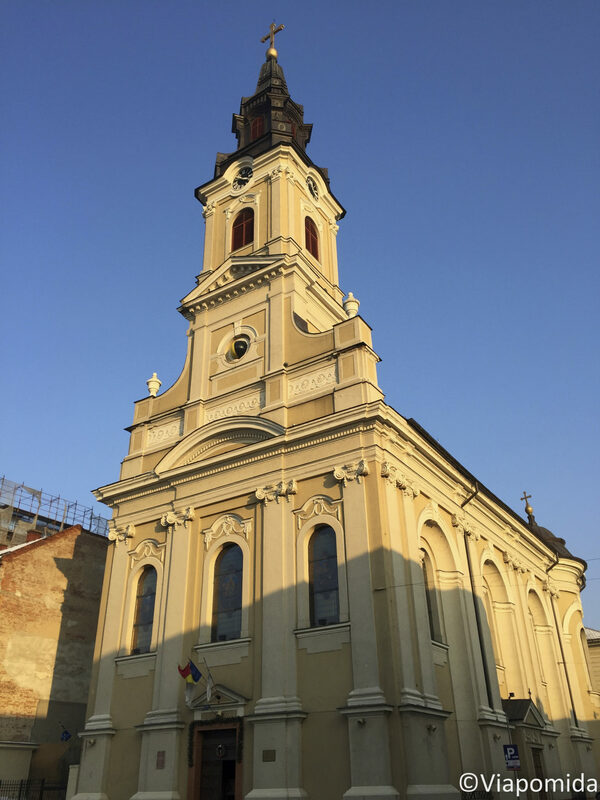 The ‘Saint Ladislaus’ Church is considered one of the most important late-Baroque buildings in Oradea and was built between 1720-1733. Its interior paintings are dedicated to the founder of the settlement and represent important events of the saint’s life, the legend of the foundation, the legend of his death and burial in the Citadel of Oradea and the moment of his canonization. 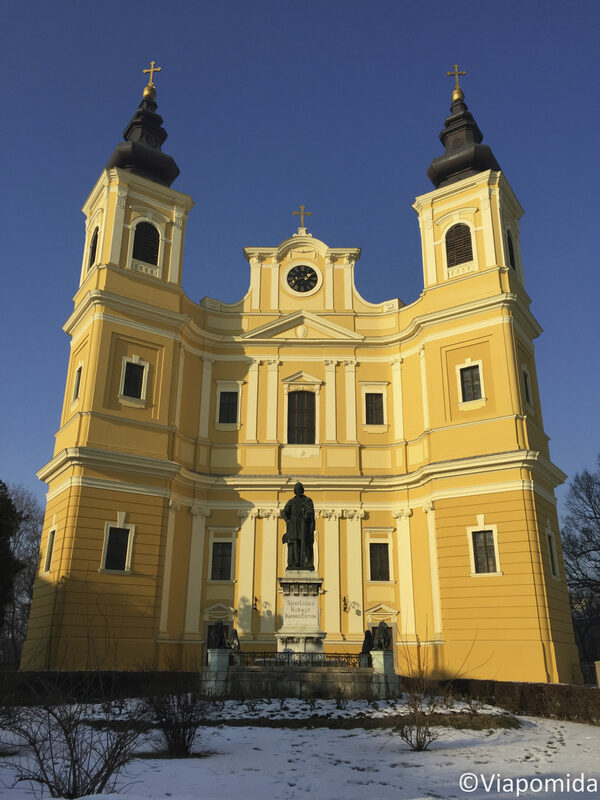 The Roman Catholic Cathedral (Catedrala Romano-Catolica) was built between 1752 and 1780 and is Romania’s largest Baroque religious edifice following Franz Anton Hillerbrandt’s plans. The Roman-Catholic church ‘The Descent of the Holy Spirit’ was built between 1787-1901 according to Knapp Ferencz’s plans. Due to construction faults it was redesigned in 1901 by Rimanóczy Kálmán who included pseudo-Baroque elements. The Neolog Synagogue ‘Zion’ is considered the third largest in Europe and was completed in 1878 using Busch David and Rimánoczy Kálmán sr. plans after the division of the Jewish community of Oradea into Orthodox Jews and Neolog or Congress Jews. It’s renovation was completed in 2015 with European Union’s funding. The Orthodox Synagogue was completed in 1890 according to Bách Nándor’s plans and is the only functioning synagogue in Oradea, although the Jewish population reduced after WWII and during Communism when they fled Romania. 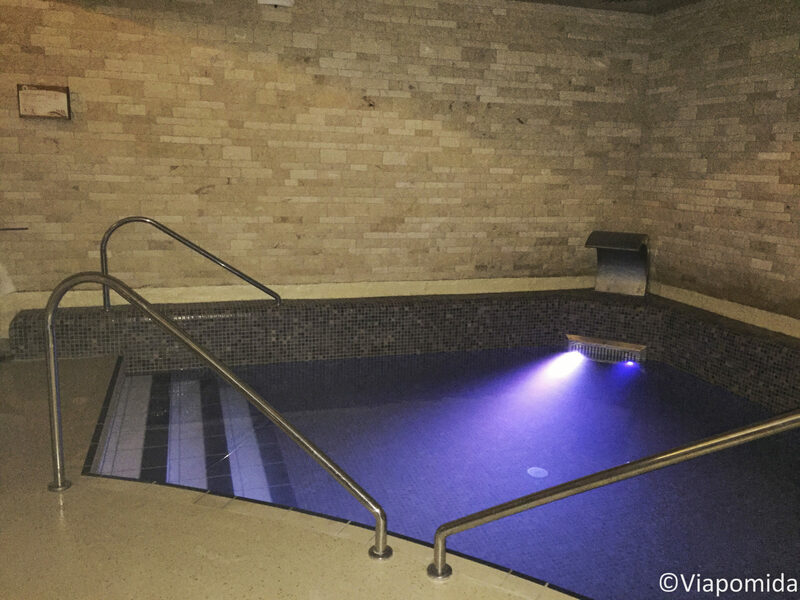 – access to Turkish hammam for 20RON/day. I got all three so I can enjoy everything they have inside. 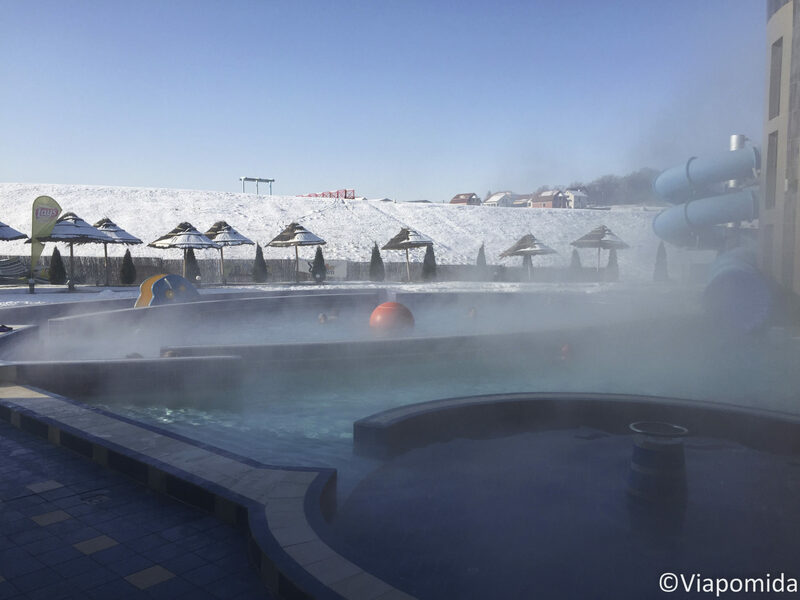 Outdoor pools were closed, but I heard they are opened from time to time during winter. Geothermal water is available only in the hammam so if you want a full spa treatment head to Baile Felix. The main museum tells the story of the area, Crisana, and is hosted in the Bishop’s Palace. If you are interested in literature, you should visit Ady Endre Museum, to find more about one of the most important poets of the Hungarian literature. To get a better picture of the city, buy a double ticket for the old tram line (available since 1906) stopping in front of the fortress or at Unirii Square. The food is very good and portions are huge no matter which restaurant you pick. 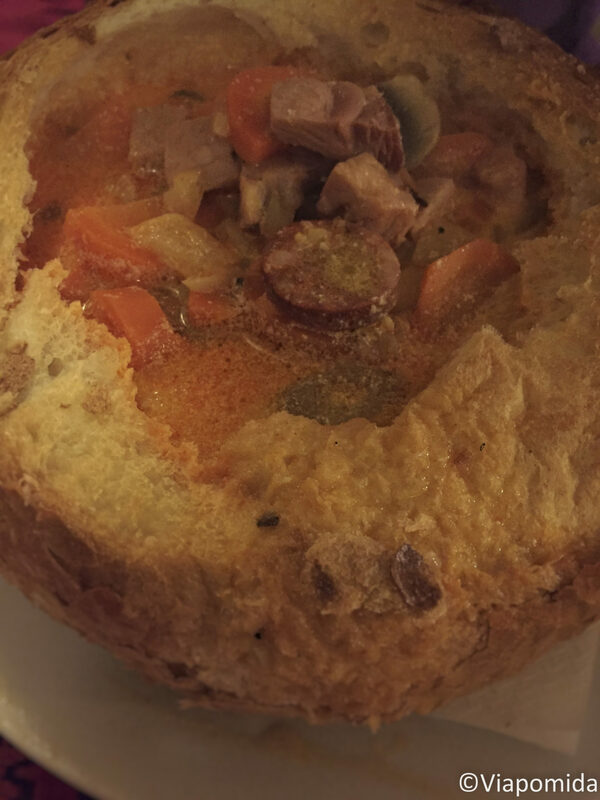 I suggest ordering a second course after you can manage finishing a soup. 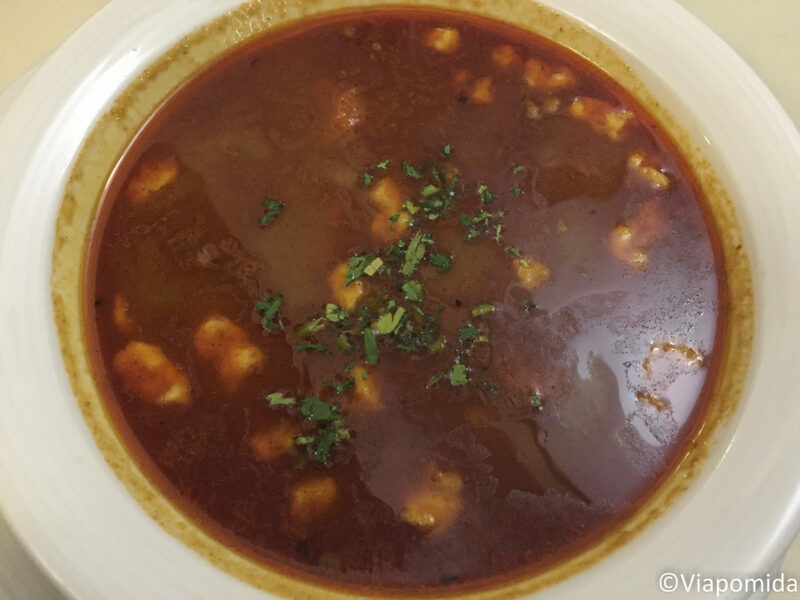 I loved Romanian beef soup and Hungarian Hungarian mixed bean goulash. The best thing is they come served in bread! Be proactive and ask the waiter if they serve this way. I went to Rosecas and Taverna Oradea. Established in the 18th century, Baile Felix is currently Romania’s largest health resort, open year-round. The thermal waters found here, very rich in oligominerals, are supplemented by sapropelic mud. This natural combination has proven helpful in easing the effects of rheumatism, some paralysis, gynecological afflictions and nervous disorders. Around five locations with geothermal pools are open during winter, but during summer everything is open and are overcrowded. 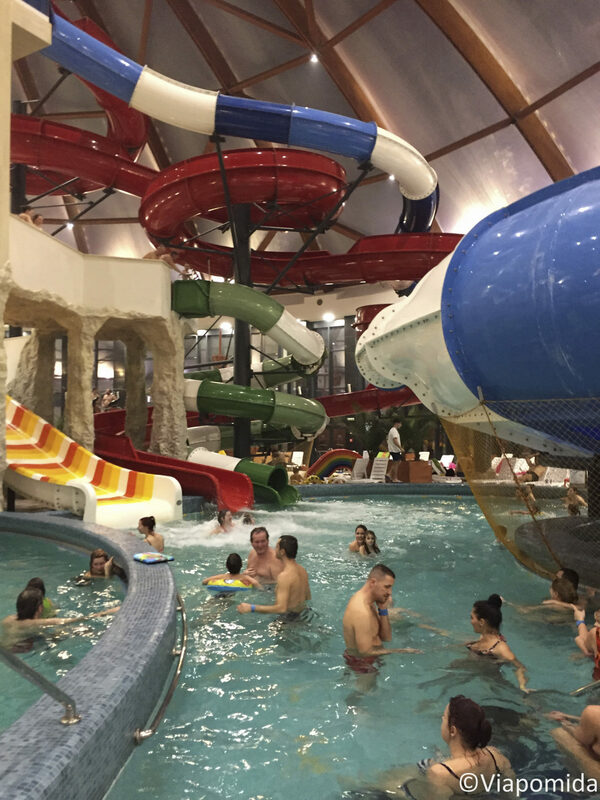 The President Aquapark has 12 indoor pools, 5 outdoor pools with geothermal water. They have two slides, sport facilities and massage treatment options. The big advantage is they have the hotel nearby. 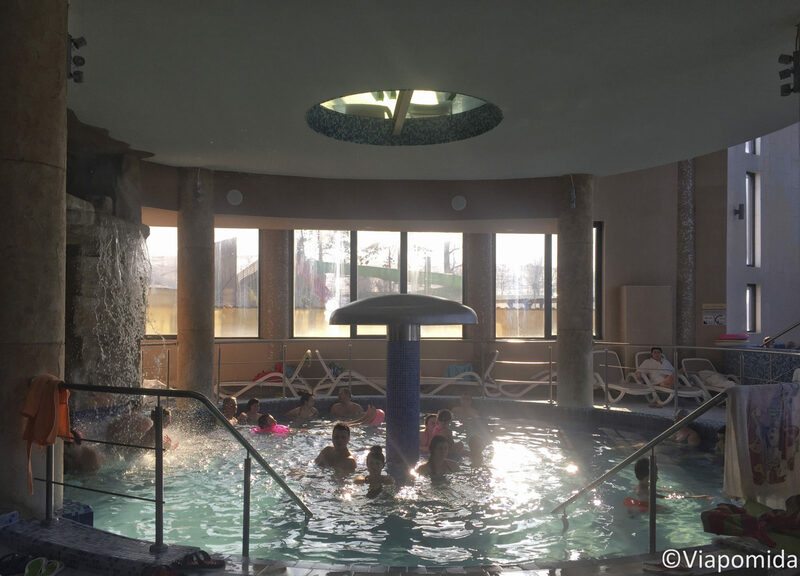 As the main activity for the locals during winter is staying in pools, you should arrive early so you have time to enjoy the pools until lunch. 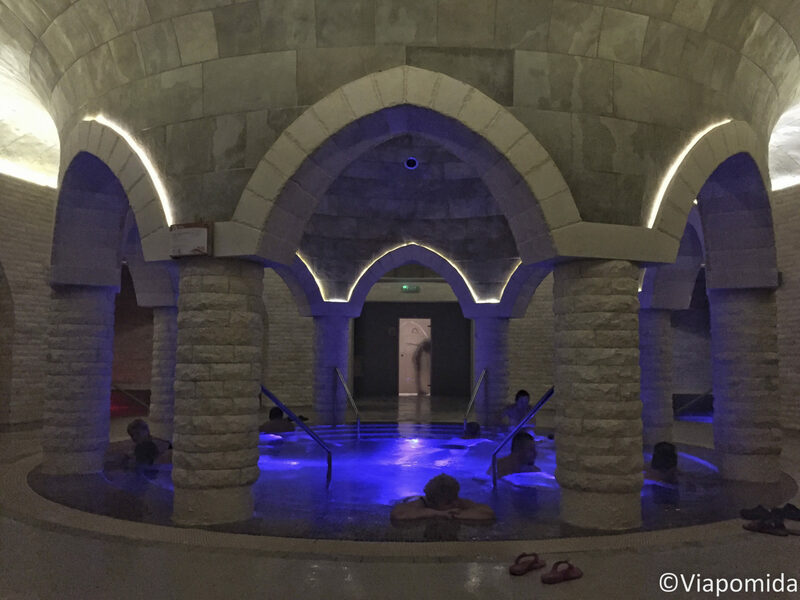 The 50RON ticket includes access to all the facilities, including saunas and hammam. 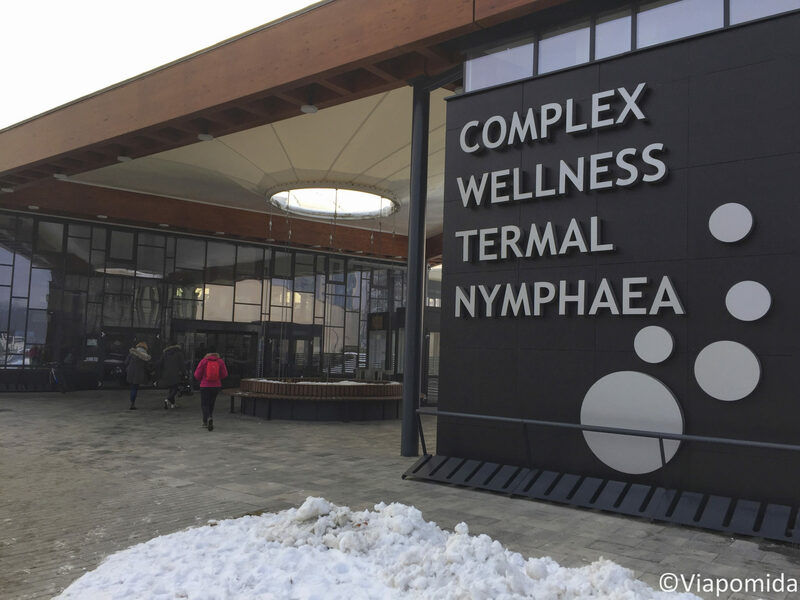 At the entrance in Baile Felix there is a new 5-star resort called Lotus Therm Spa&Luxury Resort with an aquapark (Felixarium), a spa centre and all medical facilities. I didn’t had time to check the aquapark although a friend told me it’s worth any penny. I just wait to see your impressions or tips about Oradea or Baile Felix if you get there. My first option for accommodation was Baile Felix, but I decided to cancel my initial reservation because it costed me EUR200 for three nights. 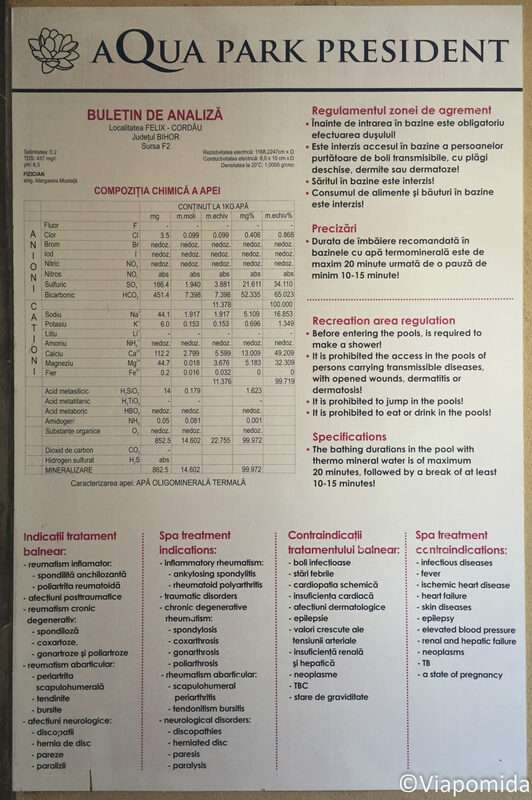 For Romanian standards that is expensive. Outdoor it’s -10 degrees so I thought I’ll get bored if I just stay in a hotel with spa. 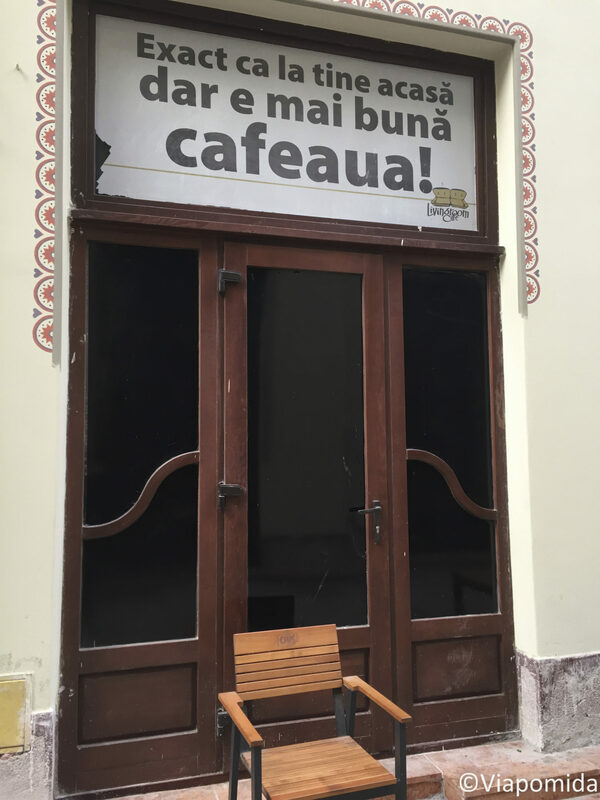 I need to move around and stretch my legs so Oradea was a better option. One of my friends living in Oradea told me there was a new aquapark, called Nymphaea, built in the city, so I won’t need to get to Baile Felix. I searched again on booking&hotelscombined and I found a good deal at Hotel Cetate, just across the river (in English it would be “The Fast Cris”, “Crisul Repede” in Romanian) from the aquapark. 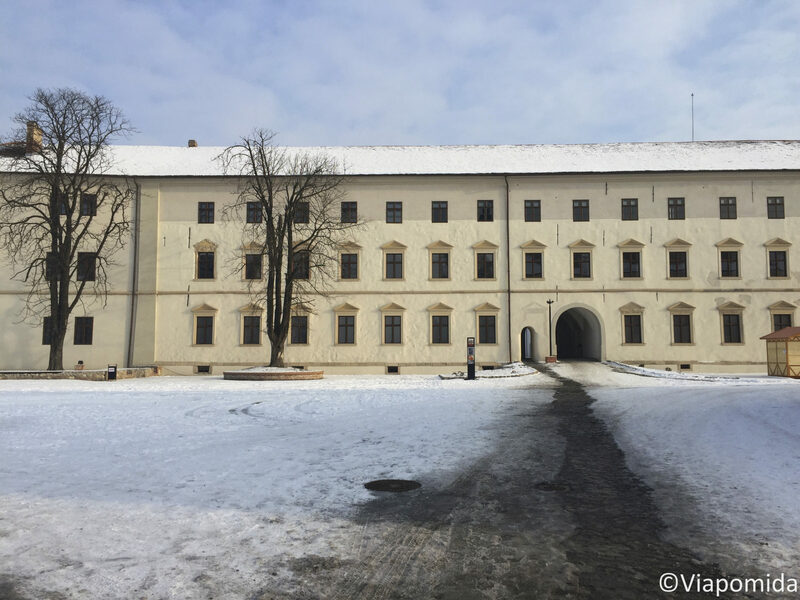 Hotel Cetate is located inside Oradea Fortress which was brought back to life through extensive restoration works financed with European funds. The hotel was opened in September 2016 and the quality/price ratio was too good not to stay there. I paid only EUR97 for three nights which is dirt cheap considering it’s located in city center and neighoured by Double Tree and Continental hotels. If my proposal is not avalable, you can search more on Booking, HotelsCombined or Airbnb. If you manage Google Translate to understand Romanian, you can search cheap B&Bs on TouristInfo. International airlines opened new routes to Oradea airport in 2016 so you can fly now from Barcelona, Torino, Napoli, Catania, Rome, Milan, Bucharest and Constanta. You should consider Cluj-Napoca airport if you come from Western or Northern Europe as you have more routes available. There are 160km between Cluj-Napoca and Oradea and you can take a bus (25RON) or train (40 RON). Main rental companies are available in both airports. Local transport in Oradea is managed by OTL. One-way ticket is 3RON and a return ticket is 5 RON. You can buy a ticket at station booths or by sending an SMS to 7429. I’m glad you enjoyed our little town. Thank you for this wonderful article.